As a technical expert, you are the person who can eventually alter projects and ideas into a reality for an organization. Hence, employers wish to hire professionals who have a firm hold on the technicality of a particular niche. Entities desire to employ those who not only hold expertise in coding and programming, but are also a great problem solver, and analytical thinkers. Patience, persistence and creativity are core qualities to seek in a tech-savvy person. If you are going for an interview to any giant entity, then you might be asked to perform some exclusive coding during the interview process, so go prepared in advance. Don’t feel anxious if you are not aware of a technical answer to a particular question, as most recruiters are interested to discover intelligence and functionality of your brain. It is true that brilliant technical expertise can make you impress the employer in just one go, but even the interviewer is aware that such cases are rare to find. Depending on the entity, the recruiter would like to hire someone who is creative and has a pool of innovative ideas to deliver to someone who knows his algorithms. It is, in fact, one major reason to why you should research about the job profile as well as about the company, so you are aware of their requirements. If you are an experienced professional who will be interviewed for a senior level position, then think of past projects that showcase your abilities and potentials. So now that you have understood the significance of a technical interview for the company as well, just read down to discover the best technical interview tips to ace the interview, as well as to know various sorts of technical questions for interview that are asked during such an interview session. The technical support interview questions asked during a professional round, mainly depend on the required specialization of the job. It can be an interview to judge your mechanical proficiency, or software testing skills, or electronics, or may be some other expertise. But, in general, there are technical test questions that fit perfectly well to all kinds of technical interview processes. 1. Brief us about your basic technical qualifications and expertise? Answer – This is a fundamental technical question that is asked for all kinds of technical rounds. The answer for this has to be concise and relevant to the field for which you are being interviewed. 2. What information do you have about our company and its products? Answer – The aim of this question is to test your interest and ‘homework’ about the enterprise. You need to go through job requirements and visit the company’s website to frame a suitable answer to it. 3. What specific technical expertise you possess that will benefit the company? Answer – Make sure that what the company requires here and then try showcasing your skills in a correct manner. You should make the firm believe that you not only meet all their requirements, but you are the best fit for their organization. 4. Are you a hand on type person? Answer – One major quality required by an individual is his ability to be available instantly if there are such requirements. So, remember the only response to this question is ‘Yes’. Notify the company that you can assist them as and when required. 5. Have you ever used products of our company or those that are similar to our offerings? Answer – If you have used company’s product then great, but if not then ensure not to fake! If you are aware of the enterprise’s product, then you can claim that you have seen others using them. You can even state how good they feel by utilizing qualitative products introduced by the company. 6. Would you be interested in taking an additional classes or training to enhance your technical skills? Answer – Every newly launched product has new features. So, if they are delivering you with prior training, then you should welcome it. It will reduce your chances of meeting any mistake while employing that product to use. 7. What steps do you follow to solve any technical issue? Answer – This question is to test your learning abilities to new skills. So, you can state that since every company has its set of standards for solving a particular issue, therefore you are ready to learn new concepts of their firm as well. 8. What have you learned from your past mistakes on technical support job? Answer – Every individual who is working makes mistakes. So, don’t be afraid of it. You can state few mistakes that you made and also what you learned from them and then never made such mistakes again. 9. Have you taken any significant steps in the past years to improve your technical hold over the subject? Answer – Every person takes some steps to improve. So, you can talk about books you read, websites you follow, conferences you have attended, and more such stuff. Even on a personal note, you seriously want to excel in your area of the technical subject. 10. What tools are most supportive of you when solving and trouble shooting a problem? Answer – Knowledge, experience, team members, manuals, and hard work are some of the tools that are more supportive of a problematic situation. But make sure that you don’t focus on team members too much as there might be situations when you have to solve issues all alone. The group discussion is mostly the final interview round for any job. It is great if you have been called for it! But certainly you have to be sure that you don’t make even a minor mistake during the interview process. The core reason why the majority of companies conduct a panel interview round is that it offers them the opportunity to get human resource representatives, technical experts, senior leadership, and line managers present at the same time. As a result, they can judge the candidate not only for his technical proficiency, but also for other niches such as personality traits, behavior, and more. Always remember that you have been called for the panel interview as your skills and expertise meet the requirements of the organization. Companies don’t waste time on individuals who seem less interested! So, besides being confident here are some panel interview tips to follow and some top-notch questions that you can prepare for your panel interview round. 1. Tell us about your greatest weakness? 2. What according to you are the challenges that you might face if you are hired for this position? 3. What according to you are elements required for a successful team? 4. Tell us about one of your recently accomplished projects and what was your contribution to it? 5. How do you measure quality in your deliverables? 6. Do you follow any technical websites to stay updated with current technologies? If yes, then which ones? 7. Why do you wish to quit your previous job and want to become a part of our organization? 8. How will you manage a situation when you don’t have a team to assist you? Will you be able to manage all alone? If yes, then how? 9. How would you rate your key competencies for this job? 10. Describe us of a project when you altered an original document with your innovative strategies? How to Face an Technical Interview? This is a little tricky process, but remember, passing an interview is not impossible. So by following certain tips you can clear even the scary technical interview round with ease. The key here is intense research. Since, this is a professional round so you must know about every aspect of the firm and even about job profile for which you have been called. Don’t wear clothes that can make you feel uncomfortable during the interview round. Nor the materials, neither the thoughts, none of such elements that disturb you must be welcomed. If you seriously want to clear the round and don’t wish to meet any unfavorable surprise then practice and practice your coding work. You are a technical expert, and, therefore, problem-solving and analytical thinking abilities is expected from you. The employer wants to test that are you innovative enough, or you give up easily. So work intensely on such core skills. If you have an excellent job to showcase, then the best way is to create an online portfolio. It will help recruiters on national as well as an international level to see your skills. As a fresher, you might not have any prior work experience in your area of specialization. All that you may have your qualification’s degree and technical certifications. So in such situation you may be required to pass through different stages of the interview before you are called for the final panel interview round. This round might be simple and easy to crack if you are a scholar in your subject. It is conducted to know your theoretical grip over the subject. 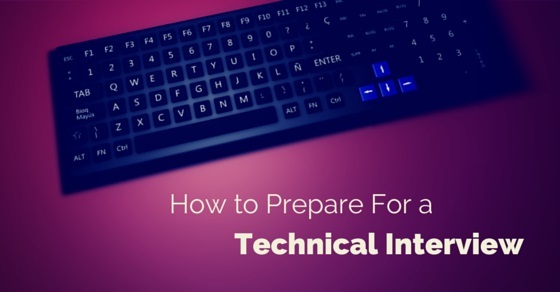 If you are aware of all bits and majors of your technical subject, then clearing this technical support interview round will not be a major issue. As a fresher, you will be tested on the practicability of your technical expertise during this interview process. Besides having deep knowledge about your subject, you must also know how to implement those skills to achieve desirable end results. The technical interviewer will not only judge your deep understanding of the subject, but will also look at your other abilities and behavioral skills. This round is conducted only for those who can clear above prior two rounds. The HR manager in this round will make you inform about the salary structure, job responsibilities, work environment, and other vital information related to the job profile. He will also judge you by different kinds of competencies required for this designation. You can prepare according to a competency based interview for this set. Whether you are a fresher or a professional with long-term experience, your technical screening round can be fun if you carry it with confidence and in the right direction. So try practicing your technical abilities and positive response all technical round questions to get hired for your desirable professional job.